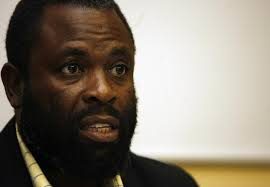 I am not shocked that COSATU has expelled Vavi. In 2007, I walked the same path. I have no doubt that the founding fathers of this great labour giant must be turning in their graves considering how selfishness and greed for wealth have destroyed their hard work and sweat. COSATU was formed to take up workers’ problems, challenges and grievances on the shop floor. Over time, the federation lost direction and became just another political party. It forgot the purpose of its formation. No more did the workers matter for the present COSATU leadership. I am not at all shocked at Vavi’s expulsion. COSATU is contaminated by political interference. Once COSATU leaders were co-opted into top positions within the ANC after becoming members of parliament representing the ANC, they steered a different course. Vavi was against COSATU being swallowed up by the ANC or any other political party. He was also outspoken in his condemnation of corruption in government. Vavi was very vocal in favour of independent trade unions. He stood firm on workers exercising political choice on the basis of the policy positions that a party advanced and the protection of workers’ interests that it afforded. Today I feel fully vindicated. In 2007 when I was branded a counter revolutionary and a spy, by the very same people who have now expelled Vavi, using the same allegations against him, I knew that it was politics at play. In my view, the way forward for COSATU, if it still wants to remain relevant is to go back to the founding principles of the labour federation and strive in the interest of workers. A union federation must champion the cause of workers, not that of the capitalist class. We in the Congress of the People reiterate our consistent policy position that trade unions must remain independent of political parties.